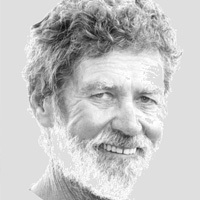 Peter Bristow is credited with the discovery of his country's fantastic marlin fishery at Number 10 Ribbon along the Great Barrier Reef. In five years skippering the Avalon, Bristow and his crew accounted for 558 marlin--of which 445 were tagged and released. Bristow estimates he’s seen over 100 marlin weighing more than 1,000 pounds come up beside his boat. For the past few years, he has turned his attention to the marlin in the waters off Madeira.